Growing high in the mountains of the western United States is the bristlecone pine (pictured). 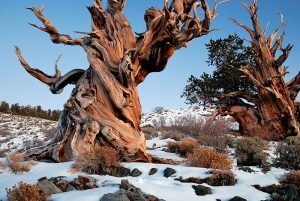 The tree looks gnarled and old, often growing out of a small crevice in the rock, in a place that is harsh, winds can be high, and snow accumulates through the fall, winter, and spring, and doesn’t melt until mid-summer- on a good year. Here, a growing season is just a few short months, if that. These trees have been known to live upwards 5000 years. Resilience in humans has been described as the ability to use personal qualities to withstand pressure (Fletcher & Sarkar, 2016). As athletes we have the capability of fostering resilience to overcome adversity, physical and mental challenges, and find success. 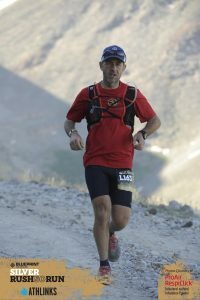 Like many athletic endeavors ultra-marathons provide the individual with plenty of opportunity for resilience to show. Conditions can often be harsh. Rain, snow, heat, lightning, hail and altitude are some of the environmental challenges. The physical challenge of moving your body through these conditions running and walking for hours, sometimes days on end requires the individual to be resilient. 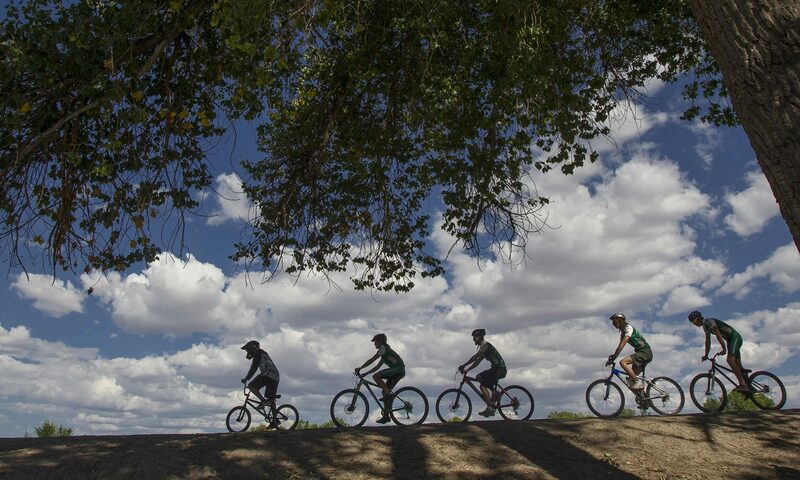 A recent race in Steamboat Springs, Run Rabbit Run, provided many examples. One woman, Courtney Dauwalter, the eventual winner, slowly lost her sight through the race, stumbling and tripping, hitting her head, struggling to stay on the trail, but persevered finishing 6th overall and winning the woman’s division. How do athletes do it? How do you keep moving forward after getting hit again, and again? After you’ve fallen. In near blindness? How do you go on to win a game after both of your quarterbacks, your Heisman candidate running back, a receiver and a safety have all left the game like the Oregon Ducks did last night? Researchers have identified a number of traits in resilient people that may be the keys to their success. These include: Strong social connections, an ability to set long-term and short-term goals, a focus on mastering skills, optimism, positive self-talk, a growth mindset, and strong belief in the self are some of those traits. These have to be combined in a cauldron of adversity. Small challenges a long the way help to build resilience. In order to build resilience you have to be willing to accept the challenge and most of all, learn from it. Positive social connections means that you have an ability to rely on others. It’s OK to ask for help. Create a network of positive people supporting you. Connect with others. Recent research into well-being recognizes that focusing on the other through kindness and gratitude can have tremendous benefits towards thriving. Setting long-term and short-term goals allows you to be focused on the future, take for example an ultra-runner, focusing on the short-term, getting to the next tree, the next aid station. One foot in front of the other, gets them down the trail and too the finish line. Mastering skills, may not seem as obvious but provides the athlete a way of improving – by letting go of their ego. You are mastering skills – not people. The better ultra-runner is able maintain a fast pace without getting sick, they know how to contend with problems that appear because they’ve learned the skills to contend with the problem. You can’t go into an event not being optimistic, “well I have a 50/50 chance of making it.” Is not going to cut it. Optimism has to be realistic, but you have to remind yourself that our mind plays tricks on us. This is where positive self-talk comes in. You have to be able to manage your self-talk and this takes practice, it’s a skill that has to be learned and practiced. Mental performance coaches can assist athletes in developing techniques to examine and restructure automatic thoughts and beliefs so they become rational, realistic and more positive. The biggest challenge is re-wiring them in the moment when you’re exhausted, and your energy is shot. This is why practicing these mental skills is so important. Above all, developing a growth mindset is a key component in developing resilience. A growth mindset, discussed in Mindset by Carol Dweck, is a way of thinking and approaching our goals that recognizes we grow and learn from our failures. Our failures are temporary, while they may set us back. It’s what we take away and learn from in those failures that allows us to grow. This article in the New Yorker by Maria Konnikova highlights that the growth mindset is a central element of resilience, allowing us to look at how we can grow from a situation as opposed to remaining stagnant. Here is an example of the growth mindset at work: If an individual starts out in a running program and the first day they’ve gone too far and too fast, they’ll likely be hurting and may not run the next day, or the next. They may think to themselves I am no good at this, my body isn’t built for running, and they don’t run ever again. This is a fixed mindset. The approach from the growth mindset will examine how they ran, and approach it differently the next day, maybe they read a book, or decided to get a coach or talked to a friend that runs, and they keep running, and slowly, keep getting better. How you believe you have control over a situation is known as self-efficacy. The knowledge that you have control over the situation is another factor allowing you to be be resilient. Taking ownership for what you can control gives you power. Placing it on outside sources – takes that power away from you. Psychologist, and researcher on Grit, Angela Duckworth cites it best at 2:40 in this interview: “Angela Duckworth Talks Grit” Animals are put into challenging situations, where they were have the power to do something about the situation, eventually become resilient. Creating a cauldron of adversity, and placing yourself into progressively challenging situations, allows you to practice and learn these skills. This is why a football coach will take out their best players for a time during practice. This is why running in all sorts of elements prepares you for a race. Accepting challenge is how you learn to become resilient. You leave with the experience that you can reflect and grow from. Resilience isn’t something that comes overnight. It takes practice – and it takes mastery. Put your mind to work as well as your body to build that protective layer called resilience.